Having ceramic crowns and veneers usually involve taking impressions and living with temporary for 2 weeks. 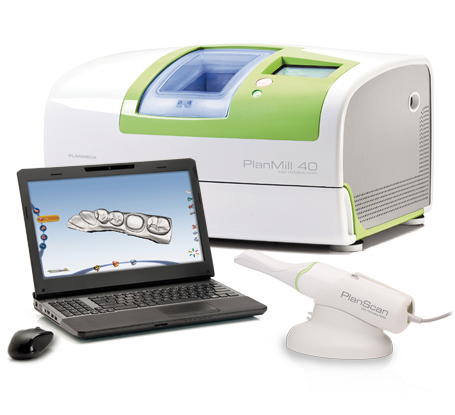 However at Craigieburn Dental Gallery we have invested in computer assisted design and manufacturing technology (CAD/CAM) which means these treatment could be done in one visit. Instead of taking an impression we use a digital scanner to create a virtual model in the computer. The computer will then design a tooth shape that will blend in with the surrounding and opposing teeth. A mill (like a 3D printer, but a very precise one with tolerance in micrometers) will then manufacture the crown/veneer etc. After that the crown/veneer will be fired in a vacuum furnace. Once done It then get bonded to the patient’s tooth immediately.